The Chevrolet Cruze boasts efficiency in an attractive sedan. Exceptional EPA estimated gas mileage of 27 mpg City and 46 mpg highway and an affordable $16,995 starting price make the Cruze a top contender in the compact market. The Cruze’s internet connectivity comes from the OnStar communications system. OnStar comes standard with all Cruzes, but the WiFi hotspot feature is an additional subscription. 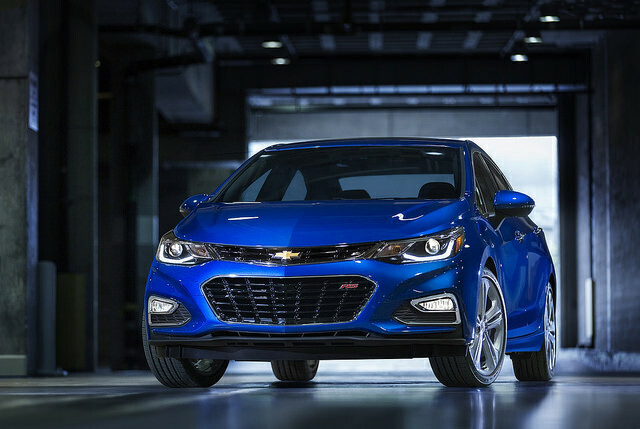 Besides Internet, the compact Cruze provides a 138-horsepower 1.8-liter four-cylinder engine in the base model, and a more efficient 138-horsepower turbocharged 1.4-liter four-cylinder with higher trim levels. Both a six-speed automatic and six-speed manual transmission are available. A fine tuned suspension cushions road imperfections, while at the same time giving the Cruze a high level of stability when cornering.